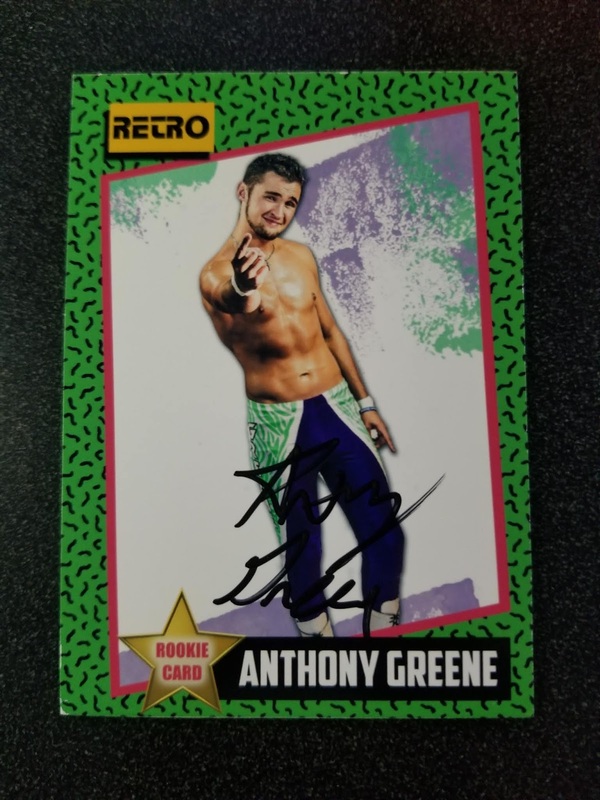 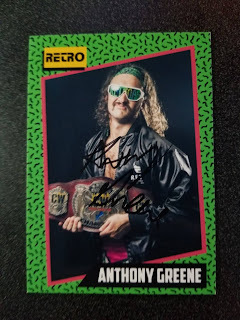 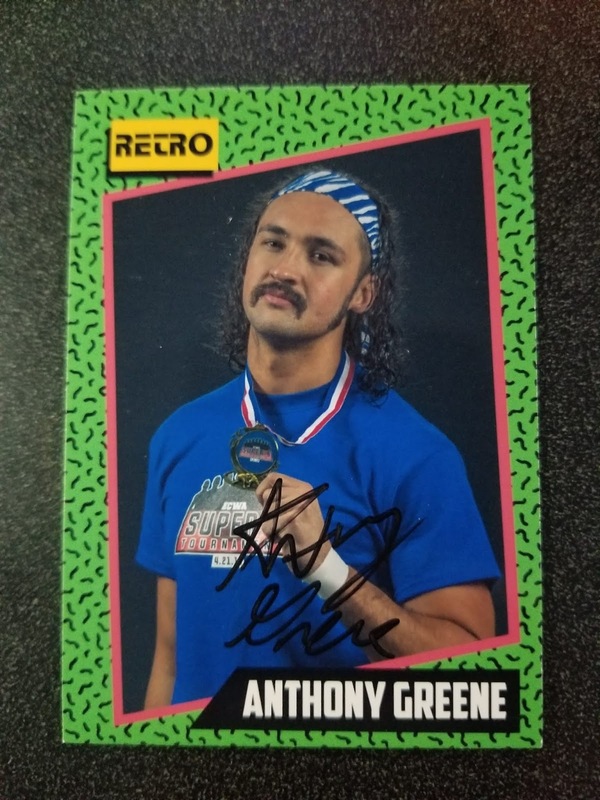 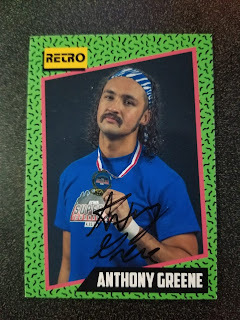 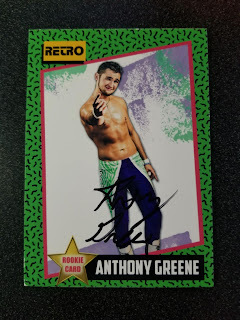 I attended Limitless Wrestling "Welcome to the Dance" on March 9th and there I bought another set of trading cards from Anthony Greene. 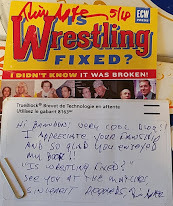 You can read about the show here. 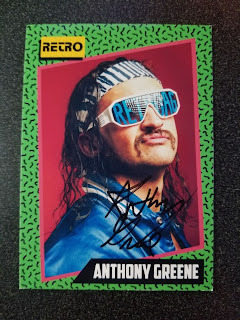 Once again this is a high quality set of cards that I recommend you add to your collection. There are nine cards in the set number and are numbered 10 - 18, going along with series I. 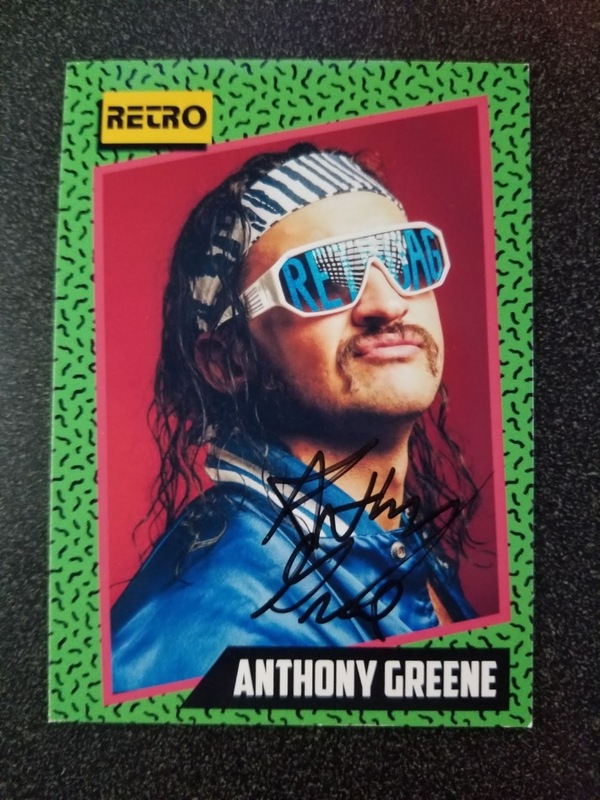 They measure the standard 2.5 x 3.5 inches and the design is based on the 1991 Impel WCW trading cards. 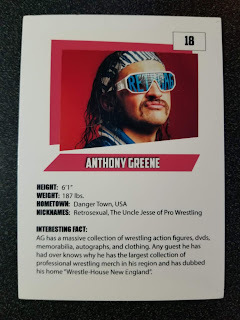 The cards are printed on a thick wax card stock. 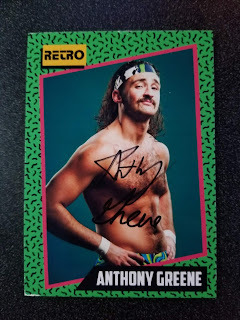 Back of Card 18. 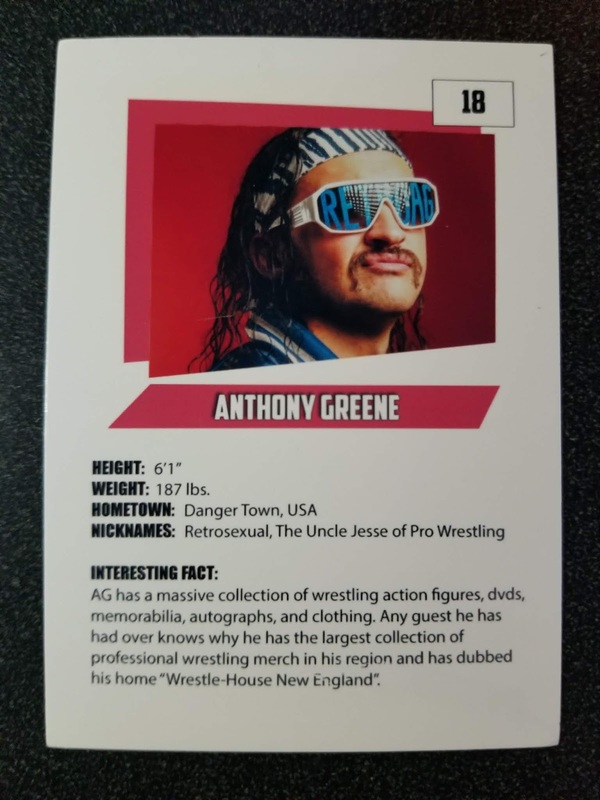 The backs of the card each feature a different interesting fact to go along with the photo on the front of the card.